Jimmy began his career at King’s Park scoring eight goals on his debut in January 1930. He joined Falkirk and then moved to Tannadice. He held the centre forward position at United for much of the remainder of season 1931-32 but United were relegated. 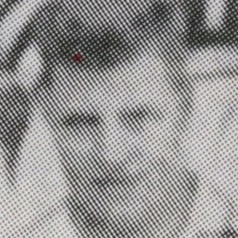 Jimmy was re-signed for the following season in the Second Division. He continued a good run of form but was released in May 1933 and returned to King’s Park. Jimmy was born on this date in Dailly, Ayrshire.